A strategy for generating stable lipid bilayers could simplify the study of biologically important membrane proteins. 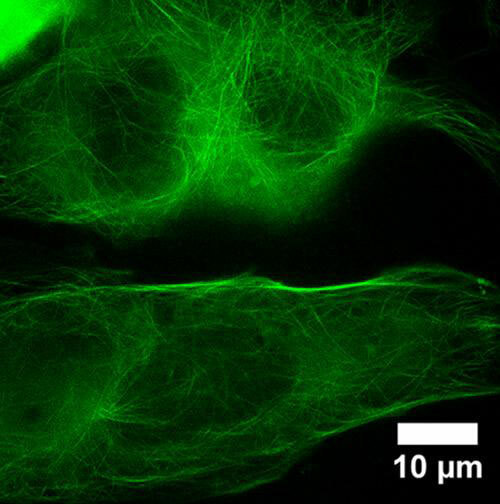 By attaching a hydrogen peroxide reporter protein to cellular microtubule structures, researchers have developed the first sensor able to show the location of the key cellular signaling chemical inside living cells with high resolution over time. Despite being thousands of times thinner than a sheet of paper and hundreds of times thinner than household cling wrap or aluminum foil, corrugated plates of aluminum oxide spring back to their original shape after being bent and twisted. Using a novel microscope that combines standard through-the-lens viewing with a technique called scatterfield imaging, researchers accurately measured patterned features on a silicon wafer that were 30 times smaller than the wavelength of light (450 nanometers) used to examine them. Scientists have developed nanoparticles that swell and burst when exposed to near-infrared laser light. 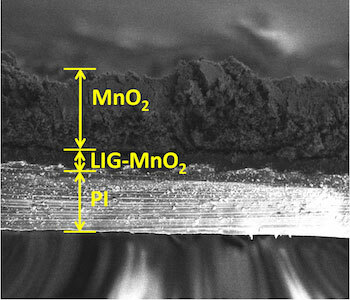 Researchers who pioneered the development of laser-induced graphene have configured their discovery into flexible, solid-state microsupercapacitors that rival the best available for energy storage and delivery. A new method for making the material used for cleaning wastewater makes the production process greener - and 20 times faster. Researchers have discovered a new technique to make transparent conductors used in electronics such as solar cells and smartphones. 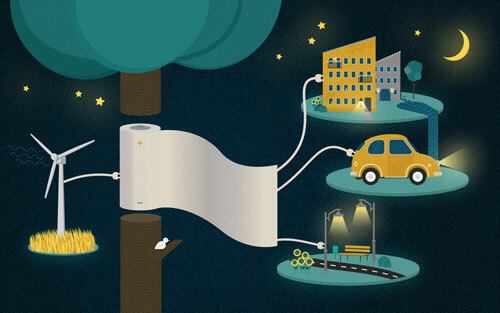 Researchers have developed power paper - a new material with an outstanding ability to store energy. 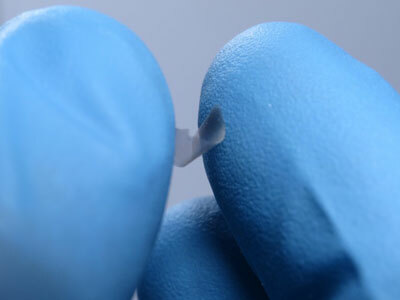 The material consists of nanocellulose and a conductive polymer. 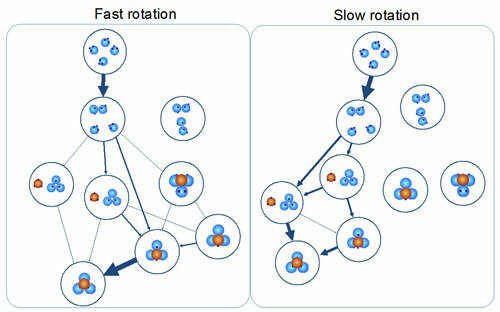 The rotation of nanoparticles such as proteins and colloids plays a key role in the self-assembly of these particles into complexes and clusters. Study reveals new filling material material that is not toxic to teeth. 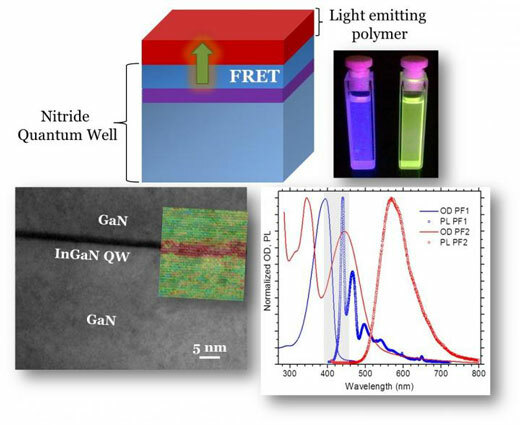 Researchers have shown that a newly developed polymer can minimize energy loss as well as silicon-based solar cells when converting photon energy from sunlight to electricity. 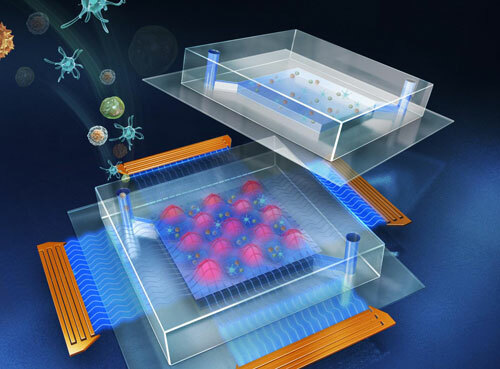 The development of a reusable microfluidic device for sorting and manipulating cells and other micro/nano meter scale objects will make biomedical diagnosis of diseases cheaper and more convenient in regions where medical facilities are sparse or cost is prohibitive. Viscous nanopores, tiny holes punctured in fluid membranes, collapse according to a universal law, a study shows. The finding could improve the design of nanopores for fast, inexpensive DNA analysis and sheds light on the biology of pores in cell membranes. 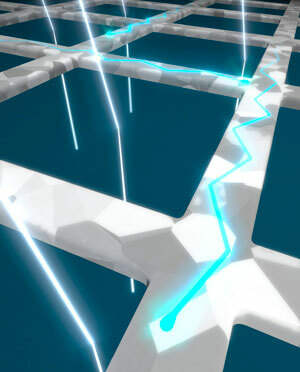 Researchers systematically unravel the potential of a nonradiative energy transfer mechanism, called Foerster energy transfer, to increase the efficiency of hybrid optoelectronic devices. If quantum computers existed, they would revolutionize computing as we know it. Based on fundamental properties of matter, the potential power of these theoretical workhorses would solve problems in a new way, cracking extremely complex spy codes and precisely modeling chemical systems in a snap. Now, researchers have created cleverly designed molecules to get one step closer to this goal.